William Osborn photo provided by his granddaughter Diane Osborn Bell. This photograph has left us scratching our heads for over a year. Gary Rich knew of no such elevator from all of his travels, so he rummaged through his photographs for any hint of it. He looked for an elevator with a single bin-width and two driveways, with a curve of track and a second elevator around the bend, all to no avail. The photo sat in my files waiting for serendipity to step in. Sometimes, it is best to bide your time, and if you are lucky you get more than a location and a name. We hit the jackpot in this case. When Dad and I visited his first cousin, we sorted through boxes of hundred-year-old family pictures. Midway through the second box, we found a newspaper clipping about an elevator, with a photo I instantly recognized. There it was, plain as day. 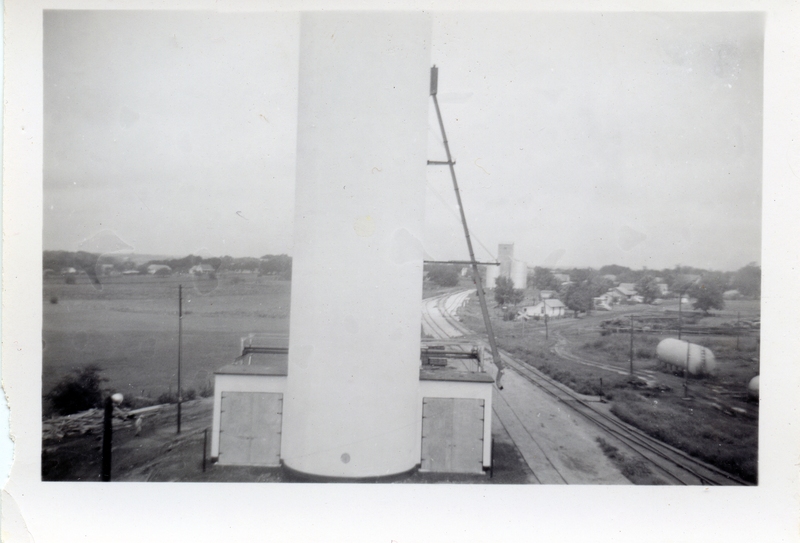 This unique elevator was built in Cordell, Okla., a town almost directly south of Wichita, Kan., well within the territory served by Mayer-Osborn Construction. The superintendent on the job was Ed Christoffersen, brother-in-law to my grandfather William Osborn. In this photo by Joy Franklin, you can see two driveways, built for faster grain loading during harvest. The curve of train track is evident here. 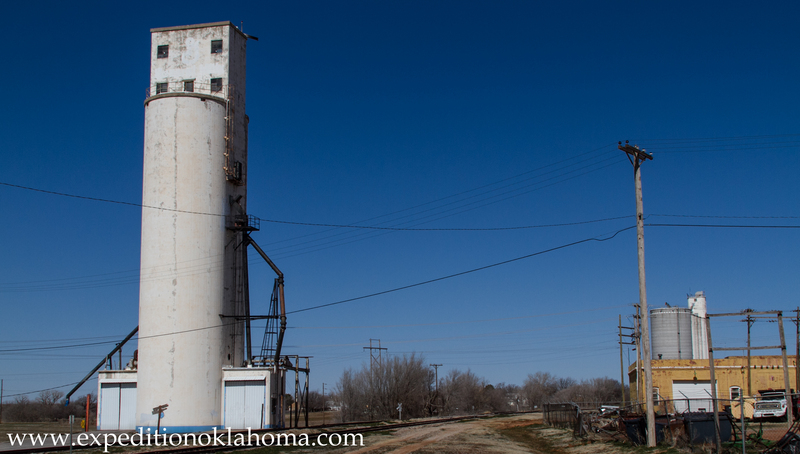 After making the identification, I looked online and found Expedition Oklahoma, where Joy Franklin posted a beautiful current photo of the elevator. With her kind permission, it is posted below. She said the elevator is owned by the Wheeler Brothers Grain Company, founded in 1917, which presently owns eighteen grain elevators. It is a happy surprise to see that one of Mayer-Osborn’s most innovative elevators not only survives, but is still in use today. This entry was posted in Employees, Mayer-Osborn, William Osborn and tagged architecture, construction, Cordell Oklahoma, Ed Christoffersen, Expedition Oklahoma, grain elevator, Mayer-Osborn Company, Wheeler Brothers Grain Company, William Osborn.